Is originally from Rio de Janeiro, Brazil, and is a former professional surfer. She holds two Brazilian National titles and numerous East Coast (US) titles. 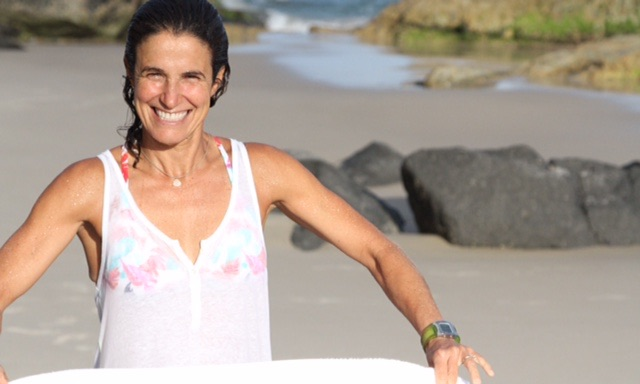 Ana has served as the Women’s coach and mentor for the All Star Team in the Eastern Surfing Association. Since 2014 Ana retired from competing. From 2014 to 2016 Ana traveled the world serving the the Women’s Chaplain for the World Surf League (WSL). Ana considers the surfing lifestyle to be a gift and she wants to instill this joy the very beginner and expert alike. Has more than 3 decades of surfing experience and is a former USCG helicopter rescue swimmer (EMT and CPR qualified). He lived for years on the North Shore of Oahu (and traveled to various surfing spots throughout the world) prior to moving to the Northeast, which provided him with much wave knowledge and expertise. Chuck has been East Coast Surfing Champion and has served as a member and mentor in the Eastern Surfing Association All Star Team. Chuck is an amazing surfing instructor for the emphasizes safety while keeping it fun. Locally grown surfer from Little Compton, RI. Started surfing when she was 12 , since then has surfed in the Caribbean, Central America and other parts of the East Coast. Lives in Little Compton, with her husband and son , enjoys being at the beach with her family as much as possible. Loves the ocean and surfing. Grew up on the beach surfing in LC with her Dad and 9 siblings. Spent past summers teaching her 5 little brothers how to surf. Has plenty of experience with children. 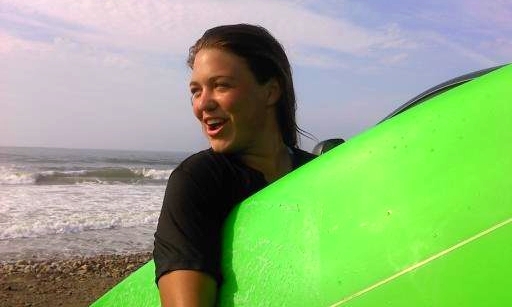 Loves teaching and sharing the joy of surfing with everyone!